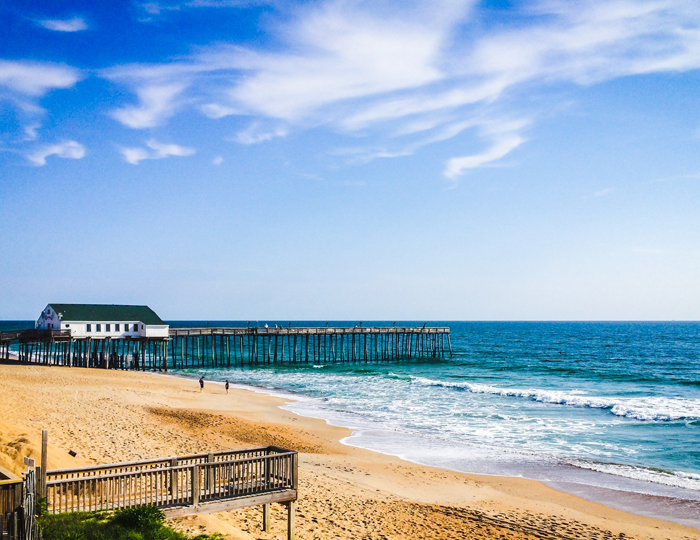 The Outer Banks of North Carolina is more than just a beach, an island, or a destination. Some would go so far as to describe the Outer Banks as a state of mind and although that sounds a bit contrived, I understand what they are trying to say. I often stumble when I try to describe what the Outer Banks means to me, when in fact, this beach is actually a culmination of vibrant memories, experiences and coming of age. Memories like spending the day at Kitty Hawk Pier armed with a few dollars, a surfboard, a fishing pole and a bike. Or, walking down dirt roads in Corolla with my dad, waiting for a wild boar or a herd of horses to find us because back then chances were slim we'd encounter anyone else. The northern beach communities were just developing and the road north of Duck was only recently paved. And when I got a bit older, spending the night around a bonfire on the sand islands with friends; fishing and crabbing for dinner, waking up sandy; the aroma of our feast still fresh. Now, I want the opportunity to show my son all the same experiences and relive them through his enthusiasm. Looking back on my memories reminds me how fortunate I am to call these barrier islands home. As the General Manager for Kitty Hawk Rentals, I am in the professional position to help vacationers create their own Outer Banks Memories. Helping folks fall in love with my home is a challenge I take to heart. At Kitty Hawk Rentals, our mission is "Matching guests' needs with quality properties while ensuring satisfaction with outstanding customer service." To me, the key words are "guests' needs." The need to relax, the need to escape, the need to cut-loose and experience any number of adventures available to our visitors. Our inventory is full of quality properties owned by quality owners and we are committed to providing outstanding customer service at all times. Meeting your needs is at the top of our list. After nearly fifty years of excellence, Kitty Hawk Rentals continues to improve and relishes the opportunity to meet your expectations. Whether we're renting a home, assisting our homeowners, or focusing on teamwork among our staff, we're here for you and we're proud to be. Thank you for decades of loyalty and the opportunity to walk side by side as your family experiences new adventures and creates memories that will last a lifetime.